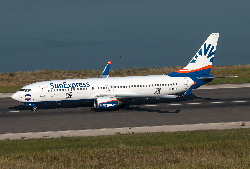 The tourist laden Boeing 737-800 received multiple low-altitude and terrain collision alerts wile on approach to the airport from the east. 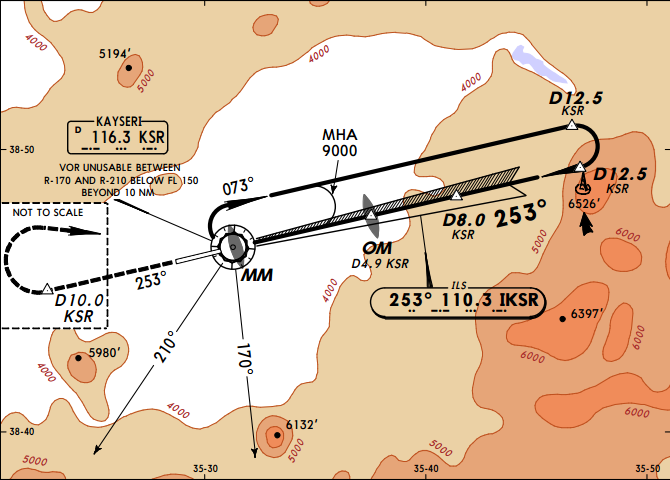 On approach to the extended centreline of runway 25 at Kayseri Erkilet Airport, while in the turn to the localizer beam, the pilots overshot the centre line to the south. Whilst descending from 7500 to 6200 feet, the EGPWS issued a „TERRAIN“-caution alert message. 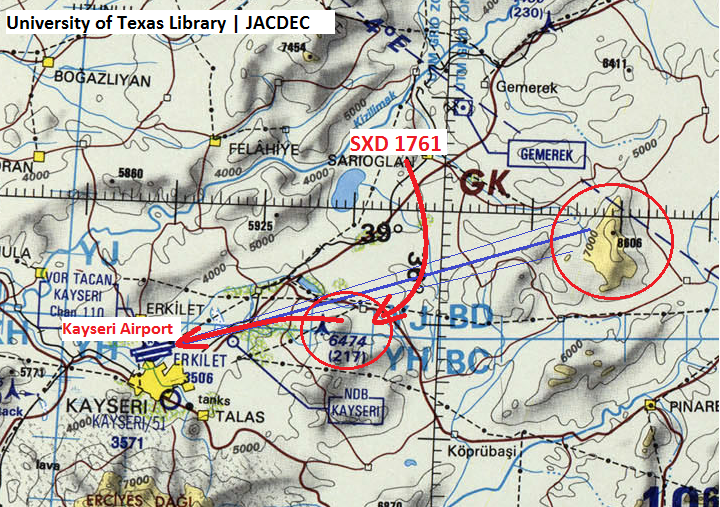 The pilots entered a steep turn to the right and climbed again to 6800 feet. 15 seconds later, a „TERRAIN PULL UP“-warning was received. After the flight reached an altitude of 6850 feet, theEGPWS warning stopped. The 737 continued the for a safe landing. Kayseri´s Airport is situated at an elevation of 3.463 feet. There is rising terrain to the east and southeast of the airport rising above 8.800 feet. Only runway 25 is equipped with an ILS. German authority BFU is investigating and considered this occurence as a „serious incident“.